Census reports are a great source of information for historians and those interested in genealogy. Though there are census reports of Newfoundland’s population prior to the 1900’s which one can find online these days they do not provide information on all communities in the country. The south coast of Newfoundland, particularly Fortune Bay, doesn’t show up in great detail in many of these reports. 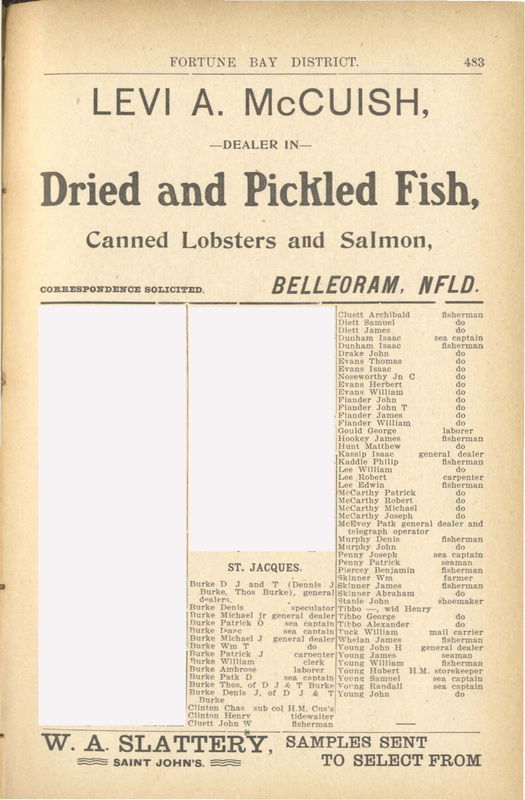 Published between 1870 and the outbreak of World War I, the McAlpine’s Directories were a series of books published by the McAlpine Publishing Company of Halifax, Nova Scotia, which included lists of businesses and heads of households for communities on the island. They were also published for the Maritime Provinces and Canada. These directories were heavily laced with advertising throughout. They were used to locate businesses and to find names of people to contact in various communities when conducting business or correspondence. They also had the appeal of seeing who lived in the many small communities scattered around the island. Our telephone books of today are similar directories. Below is an excerpt from the 1904 McAlpine’s Directory for Newfoundland with corrections for misspelled names in the original. This wasn’t a census, therefore only the ‘heads of households’ were listed. Spouses and children were not included. As a result we cannot get a clear indication of the total population of St. Jacques in that year. 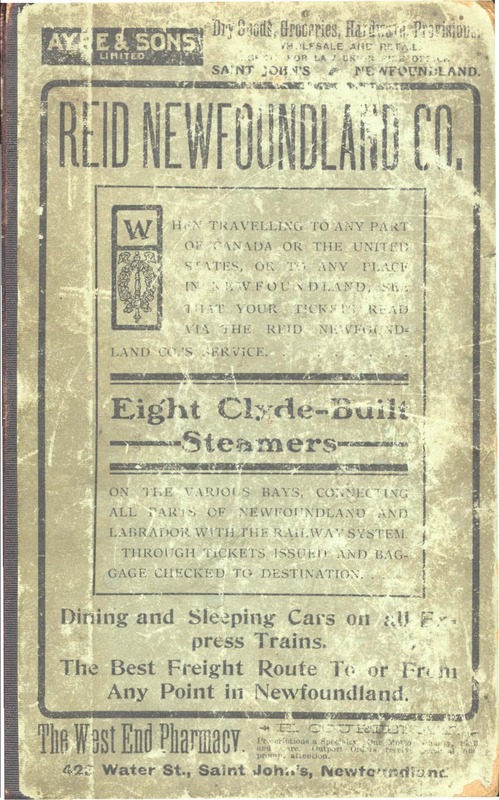 The complete McAlpine’s Director of Newfoundland for the Year 1904 is available online at Memorial University`s Digital Collections. You can download a PDF version of the document by clicking here. What a gaggle of Burkes! Yes John Burke, lots of Burkes but also lots of Youngs!! my grandfather was Patrick Burke b. 1888. Brothers included Alphonse and Leo. Sister Helena married a Bates. Any relatives out there? There are Burkes out there; many of them. There are no Burkes or their descendants currently living in St. Jacques. The last family moved out during the mid-1950’s. Several follow this blog and may get in touch with you through postings here. I can give you contact information through a private e-mail. Bay St. George area and I do believe lived on the Port-Au-Port peninsula. 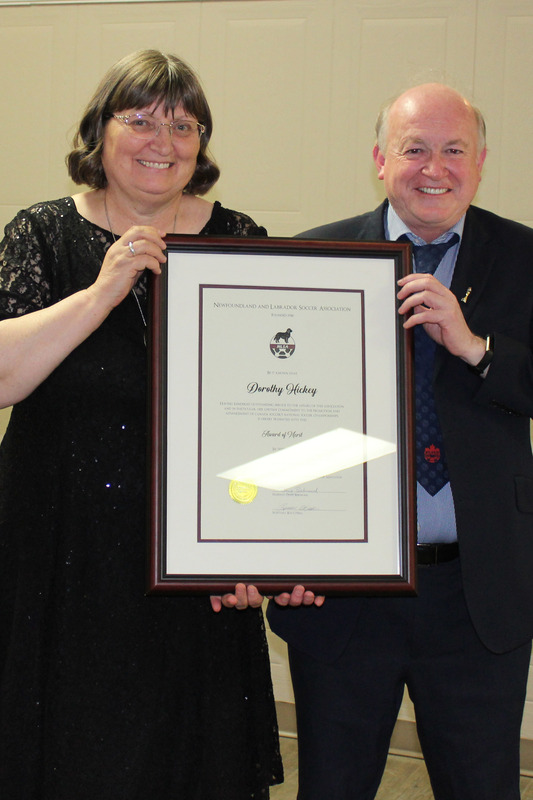 One family lived in Stephenville…Gordon & Kathleen (Burke) Young, very nice people. My mother was Blanche McCarthy, who married John James Hynes. My Dad, John M. Burke, moved to Port au Port East in the 50s. His sister Kathleen, was married to Gordon Young, one of the first Newfoundlanders hired by the Americans in Stephenville. He ran the power plant at the Harmon Air Force base in Stephenville. By the way, Kathy Murray, I married the daughter of Isobel (Bates) White. I am interested in info on James Dyett and his business, circa 1903-1905. Namely his schooner “D.M. Owen”, which he purchased from someone at St-Pierre. A later owner of the schooner was my Grandfather, Eldon Bishop of Wesleyville.